This post was created in partnership with CabinZero. All opinions are completely mine (and Sarah’s). I would never work with a brand I didn’t absolutely love! You can read my disclaimer here. When I started planning our December trip to New York City last year, my immediate choice for luggage was my 44L CabinZero cabin bag. 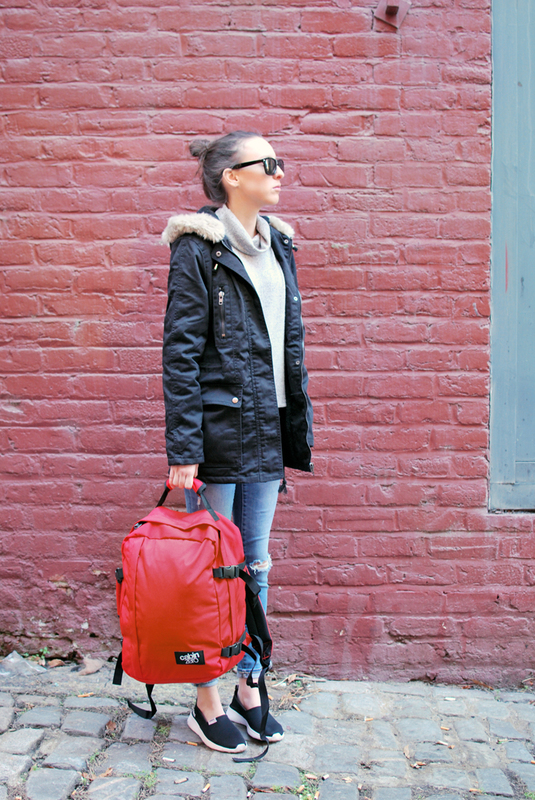 That bag is my go-to for short-term travel and our four day/three night trip certainly fit the bill. While I checked off taking my bag and Dan taking his, I imagined my cousin Sarah had no idea what to expect in regards to many things our trip would entail, including how she should pack for it. Arriving at Penn Station is crowded and chaotic. I can’t tell you how many times someone’s rolling suitcase has nearly tripped me, and I’m not trying to be that person to others. 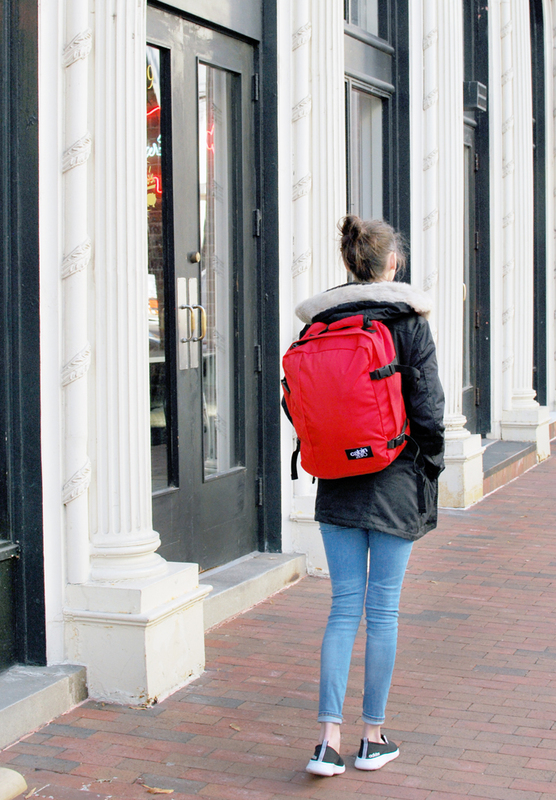 I feel more comfortable, as though I take up less space, and much quicker with my luggage strapped snugly to my back. Sidewalks, street crossings, and the unpredictable circumstances related to walking quickly through the city don’t inspire me to drag a suitcase. I’m a fast walker, crossing intersections like a New Yorker and weaving around food carts and people with ease on the way to my destination. Having a rolling bag flipping over when leaving the sidewalk or determining my route can’t include cut-throughs irritates me to no end. 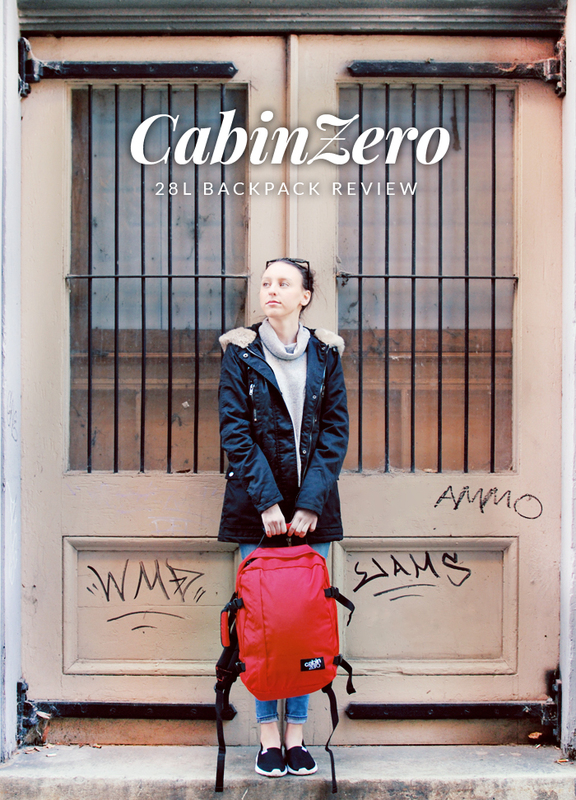 Clearly the solution was that Sarah needed her own CabinZero backpack for our trip. 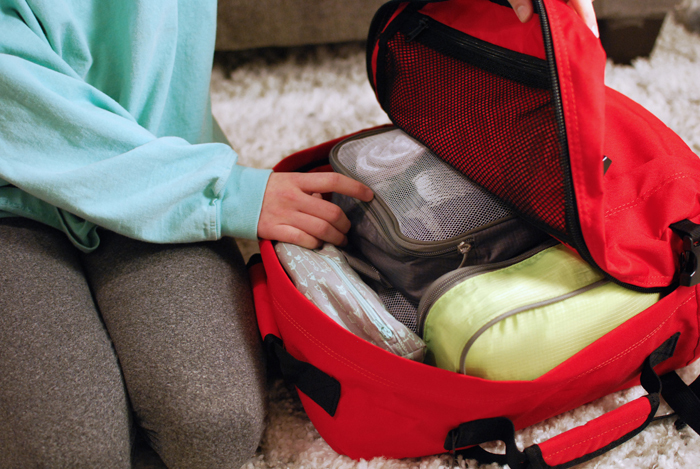 Her Mysore Red 28L cabin bag arrived just in time for our adventure, but I knew the biggest challenge would be convincing a seventeen year old girl to only carry what would fit in a backpack. Sarah arrived at my house a day before our train was to depart…with a rolling suitcase and duffel bag in tow. We headed to the living room and spread everything out on the floor, deciding what she would definitely need for our trip and what she could leave behind. 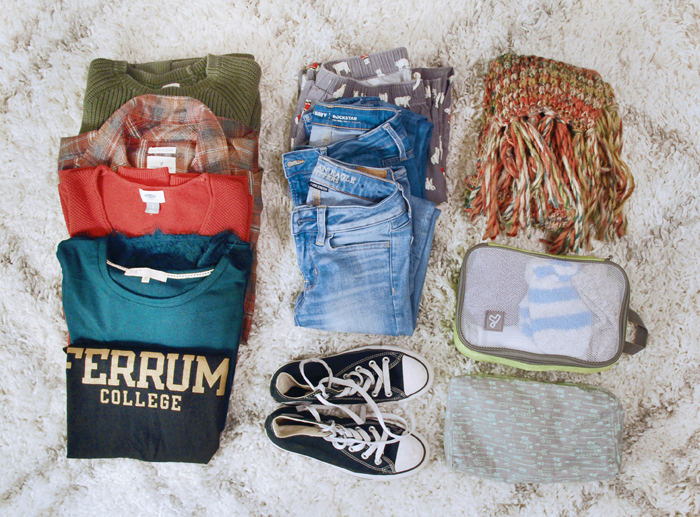 She set aside what she planned to wear for our day of travel then rolled everything else to fit in packing cubes. She crammed little odds and ends, like her gloves, in the gaps and the chunky scarf fit easily in the front zipper compartment when folded nice and flat. Rory was a lot of help with packing, as always. Dan left the city a day before we did and was nice enough to carry home a couple of things we’d already worn so we’d have room for souvenirs and all of the great snacks we brought back on the train with us. I’ve been a backpack-travel convert since our trip to Europe in 2016. If you want to see what I managed to fit inside mine for a 10 day trip through The Netherlands and Belgium, you can see my packing list and a review here. I always think they have such cool looking bags that are practical, yet stylish! 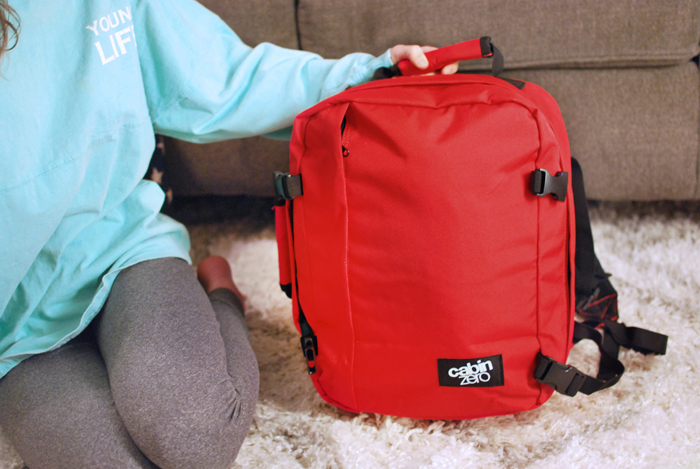 Def keeping them on my mind for my next backpack purchase! They’re so lightweight and can hold so much!